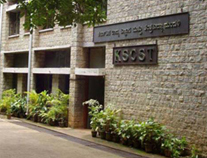 Motivated by the desire to build a strong base for practical problem solving in several engineering colleges as well as to build their R & D potential, KSCST decided to promote student project programmes in a large number of educational institutions, located Karnataka, in areas of Engineering, Medicine, Fisheries and Agriculture. It saw an enormous reservoir of talent and creativity in the students and the faculty of engineering colleges in Karnataka. Another important factor is the abundant availability of basic and infrastructure facilities in the engineering colleges for experimentation, design, fabrication and testing. KSCST, therefore, ventured into launching and implementing a programme called STUDENT PROJECT PROGRAMME (SPP) for providing financial and academic support for Bachelor of Engineering projects. Discussions held with the Director of Technical Education and the Principals of engineering colleges indicated that such a programme would be worthwhile. Started in 1977-78, this programme is a unique experiment in Karnataka and it is a tribute to the foresight and inspired through on the part of a group of dedicated scientists, engineers and executives and administrators of Government of Karnataka. This programme is also a major innovation and first of its kind in technical education in the country and has a major impact in improving the quality of technical education. It links together developmental efforts with educational institutions so that relevant problems flow to the institutions and hopefully feasible technical solutions might flow back to the implementers. The student project programme is now 40 years old. From 1977-78 to 2016-2017 about 8800 projects at a total cost of more than 4 Crore Rupees have been funded to various engineering colleges. Creativity of students applied to solve development problems of our people and State through Science and Technology. Enrich Collegiate education through finding solutions to real life problems. Improve understanding and develop methodology of solving complex issues. Several studies focused on rural issues have helped in development activities in Karnataka. Dissemination of technology pertaining to low cost housing technology pertaining to low cost housing technology, ground water study, low cost agricultural implements, assessment of drinking water potential, in specific areas have been notable examples. This programme has enriched collegiate education through finding solutions to real life problems. This has also improved the understanding and development of a methodology to solve complex issues. This programme has utilized the services of experts from various scientific and technical institutions like Indian Institute of Science, Indian Institute of Management, National Aerospace Laboratories, Central Manufacturing Technology Institute (CMTI), National Institute of Technology Karnataka, Surathkal, ISRO, Universities and in addition to local organizations like Village Panchayats, Block Development Boards, Municipalities, Zilla Panchayats, etc. Experts from various software companies have joined hands in strengthening the quality of the SPP. Each proposal is reviewed by an expert and only those recommended are supported by the KSCST (Approximately one project proposal out of four gets funded) More than one hundred senior faculty of Indian Institute of Science, scientists in national labs and other experts review the proposals. They also provide guidelines and suggestions to make a project innovative and meaningful. A modest financial support is provided to the student group by KSCST. On the completion of the project, a team of experts examines the project at a nodal centre and selects the better ones for the annual Seminar and Exhibition. It helps to identify motivated faculty from the respective academic institutions and initiate interactions that could lead to even better projects. An annual State Level Seminar and Exhibition of selected student projects (about 300 projects selected by the evaluation team of experts) is held every year in one of the engineering colleges wherein all the Principals, faculty members and students of engineering colleges and some experts from all over the country are invited to participate. Awards for the best projects and project guides are also given during the seminar and exhibition. Born in 1977, the Student Project Programme is now 40 years old. It started with 54 projects in 13 engineering colleges at a total funding of Rs. 1.2 lakhs i.e., about Rs. 2,250/- per project on an average. During the 40th series (2016-2017) of this programme which was commenced in November 2016, a total of 627 projects in 145 colleges / institutions were sponsored by the Council at a total funding of over Rs. 35 lakhs. From 1977-78 to 2016-2017 about 8800 projects have been funded to engineering colleges and to a few polytechnics. Out of these, approximately 4119 projects (45% of total projects) were selected for annual Seminar and Exhibition held in various engineering colleges during these 40 years. In addition to engineering colleges and polytechnics, this programme was extended to agriculture, fisheries, veterinary, medical and other general topics relevant to the developmental needs of Karnataka. So far 40 Seminar and Exhibitions have been organized in different engineering colleges. An expert panel is constituted to select best projects for the PROJECT OF THE YEAR award. A trophy is also presented every year to the Best Performing College along with cash prizes. In order to encourage all the students of the selected projects for Seminar and Exhibition, each one of them will be given a certificate and a cash prize. The 40th Series SPP Seminar and Exhibition was organised at NMAM Institute of Technology, Nitte, Karkala Taluk, Udupi District between 11 - 12th August 2017. KSCST invites project proposals from the final year engineering students for sponsorship, under the 42nd series of Student Project Programme under three categories. As done in the previous year, It has been decided to charge a fee of Rs. 1000/- (Rupees One thousand only) towards processing fees. Hence, while applying, the project proposals have to be accompanied with a Demand Draft for Rs. 1000/- favouring "Secretary, KSCST" payable at Bengaluru. The Demand Drafts to be obtained from Canara Bank / State Bank of India only. The hardcopy of the proposal along with Demand Draft have to be submitted to KSCST, in a sealed envelope super scribing "Project Proposal for 42nd series of Student Project Program" addressed to The Secretary, Karnataka State Council for Science and Technology, Indian Institute of Science campus, Bengaluru - 560 012. KSCST sponsored project details and information from 1977-78 to 2014-2015 is available online in the KSCST website as "SPREAD Online". The abstract details and full version of 6 years reports are available. This also provides student information on completed projects and problems / gaps in technology to develop a project proposal, references and avoid duplication. The college should nominate the SPP Co-ordinator with whom KSCST can interact regarding evaluation of sanctioned projects, funding, project synopsis, report submission, participation in Seminar and Exhibition, etc. Please contact the Principal for the same. KSCST sponsored project details from 1977-78 to 2014-2015 information is available online in the KSCST website as "SPREAD Online". The abstract and full version of 6 years reports are available. This provides students, information on completed projects, and problems / gaps in technology to develop a project, references and avoid duplication. Kindly visit our website www.kscst.iisc.ernet.in/spp.html for further details and announcements. The objectives and methodologies of Student Project Programme (SPP) prompted to use the word "SPREAD" as an acronym [coined by taking the first letter of words Student Projects Reviewed, Exhibited, Awarded and Documented to name the application software developed for browsing and querying the SPP database.